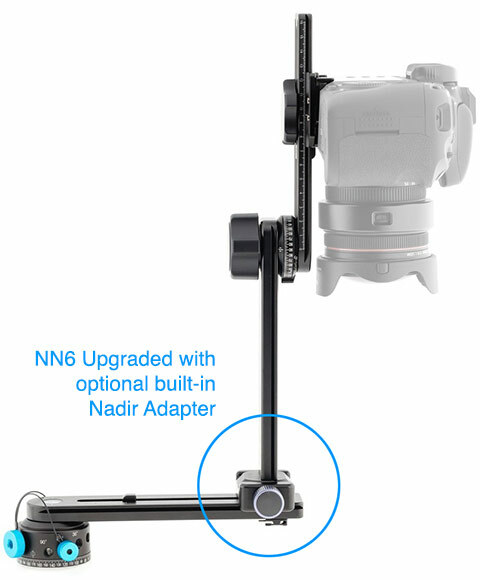 Nodal Ninja NN6 Panoramic VR Tripod head. Red Door VR UK. 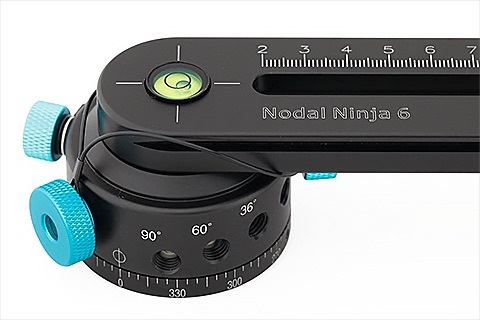 Nodal Ninja NN6: Will my camera fit? | What click stops does it have? | Can I view an example Panorama produced with the Nodal Ninja NN6? After researching and developing superior mechanical panoramic hardware for a decade, Fanotec is now pushing the envelope by incorporating robotic components to the design. A range of products developed from the ground up together with the robotic developments will replace some of the legacy products. 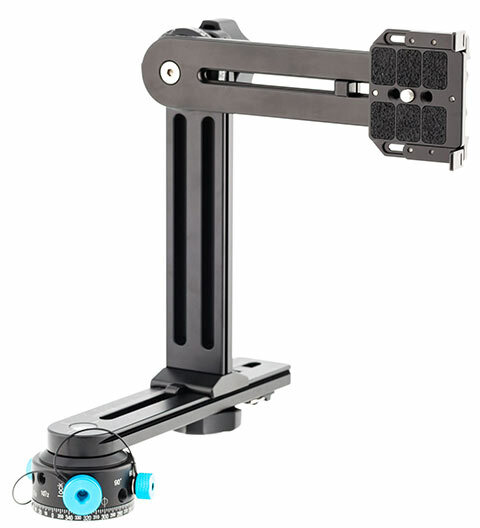 Nodal Ninja 6 (NN6) is the successor to Nodal Ninja 4 and Nodal Ninja 5, and is the first model that is compatible with the coming motorized rotator, capable of transforming into a 2-axis fully automatic pan/ tilt head with diverse functions. Nodal Ninja NN6 Panorama Head with RD10 Advanced Rotator Base fitted. It is also the first low cost ALL CNC machined panoramic head in the product line. We carefully examined the Ultimate line and listened to end user feedback to optimize these newer designs. By reducing the number of quick release components, overall cost is much reduced. The NN6's will have quality standards very similar to the Ultimate line incorporating hard anodized coating. Compact upper rotator with precise 7.5 degrees detent lock (positive stops) which can be disabled on the fly by simple turning of a lever to allow free rotation and locking at arbitrary angle. If you require for instance a rotation of a number which is not a multiple of 7.5, then you can easily and quickly set this by just flicking the lock lever to allow free rotation, loosening the rotator lock knob, setting the desired angle by reading from the scale on the rotator, then tighten the rotator knob. Nodal Ninja NN6 Panorama Head Upper Rotator detail. Supporting up to 200mm equivalent focal length (camera in portrait orientation) with detent lock (higher focal lengths possible with free rotation). Nodal Ninja NN6 Panorama Head Rotator RD10 detail. 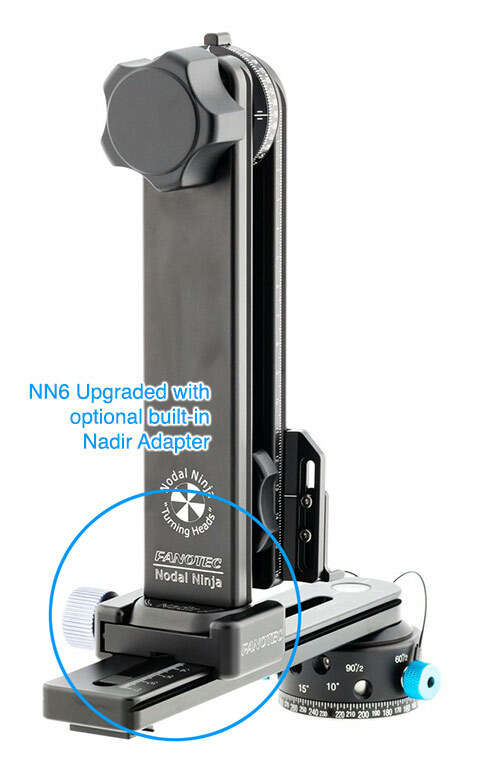 Nodal Ninja NN6 Panorama Head showing optional built in Nadir Adapter. WILL MY CAMERA AND LENS FIT ON THE NODAL NINJA NN6 PANORAMA HEAD? New anti-twisting camera mounting plate that mounts to the camera by using an easy to grip, glove friendly knob. No tools needed. Nodal Ninja NN6 Camera Plate detail. Arca Swiss compatible rails allow use of QR clamps and other compatible accessories. 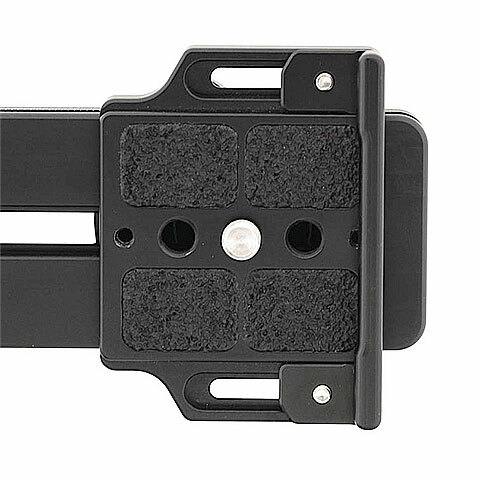 Supports most DSLRs with or without battery grip. Come standard with custom made Advanced Rotator D10 (RD10) as default. Compact, lightweight with 10 detent options ranging from 90 to 5 degrees which are easily changed on the fly. Compatible with other advanced rotators. 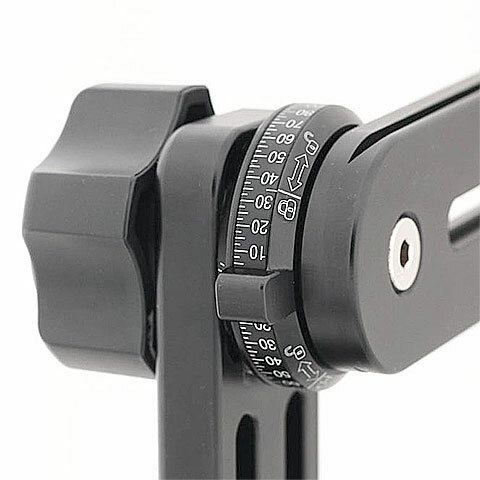 Optional Quick Release Nadir Adapter that combines the function of quick release and nadir adapter, for rapid mounting / dismounting the vertical assembly and effortlessly taking clean nadir shot (down shot). Many people have requested a rotator that has the size of advanced Rotator D5 but with more detent options. The new Advanced Rotator D10 is the answer. It achieves the best balance of size and versatility. Compact, lightweight with 10 detent options ranging from 90 to 5 degrees that can be changed on the fly. Suitable for fisheye, wide angle and telephoto lenses up to 200mm equivalent focal length with camera in portrait orientation. *On the lower rotator there are detent holes marked for instance '60º' - putting a detent plunger into this hole and screwing in fully would mean an increment of 60 degrees between clicks, if the second detent plunger is then additionally screwed into the hole maked '60º/2' this means both these plungers are working, the second one effectively halving the increment to 30º and of course doubling the number of clicks per revolution from 6 to 12. Likewise for the other holes 90º 36º 15º 10º - each has a corresponding second hole which performs a similar function in halving the number of degree between clicks, and doubling the number of clicks per full 360º rotation. Note from Nodal Ninja USA: There is no quick reference guide as of yet for the NN6 (Feb 2017) but this is expected very soon. The NN6 is built from the ground up with robotic add-ons in sight. It's a very intuitive design and works without issue for most. Illustrations on this page show the NN6 assembled. This product has been well tested in the field which is bringing in positive reviews by early users. However as with any new product we cannot test against all possible cameras and equipment configurations. As early feedback comes the manufacturers are making little tweaks here and there to improve the performance. If you see any need for improvements we would love to hear from you. 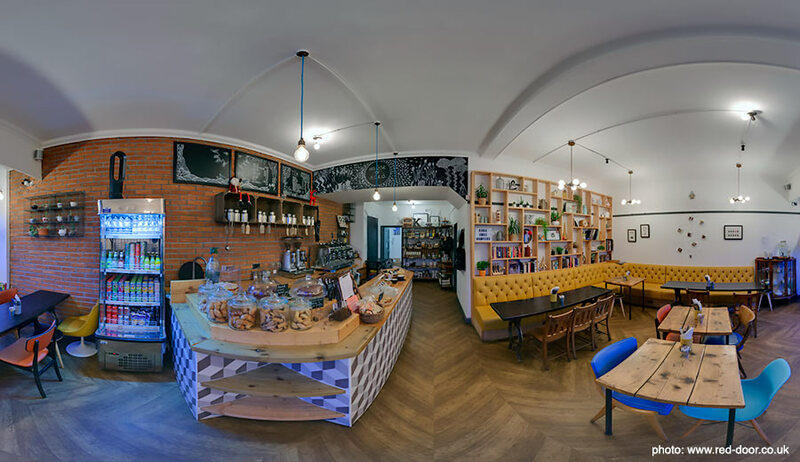 Using the Nodal Ninja NN6 Panorama Head to produce interior panoramas. Example location photography with photographs 'bracketed' to give 3 exposures at each point of rotation, for this example we used a 'full frame' DSLR (Canon 5D MKII) fitted with a 17-40mm lens, set at 17mm, shooting 3 rows of 8 plus Zenith ('up-shot') and Nadir ('down shot'). - this gives a total of 78 images. The finished panorama shown below has been output as HTML 5 format - ensuring that visitors can see the movie in the latest browsers on desktop computers, laptops, tablets, iphones and ipads. 'DOUBLE CLICK' on this panorama should enable a full screen view. This content requires HTML5/CSS3, WebGL to view. Thank you to the 'House of Koko', 62 Harrogate Road, Chapel Allerton, Leeds LS7 4LA for making us welcome, and permitting this early morning photography! You can view another example panorama and location here. Shown above - some example thumbnails from images used to create the 360º panorama.